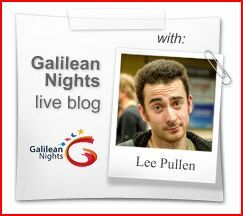 Galilean Nights are almost here! I’ve often told people during this year that we are being asked to do, in a special year, what we already do on a regular basis. That’s not entirely true, because this year we are doing it on a global scale, reaching audiences which don’t usually seek astronomy. From music concerts, to puppet shows, in spas or prisons, we aim to show the awe of astronomy to young and old, rich and poor alike. But we could never neglect the good, old fashioned, observing night(s). 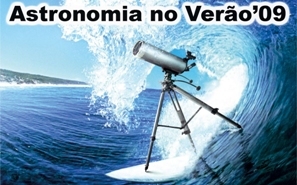 In Portugal we have a national program that started in 1997 as “Astronomy in the Summer” (evolving to “Science in the Summer” over the years). 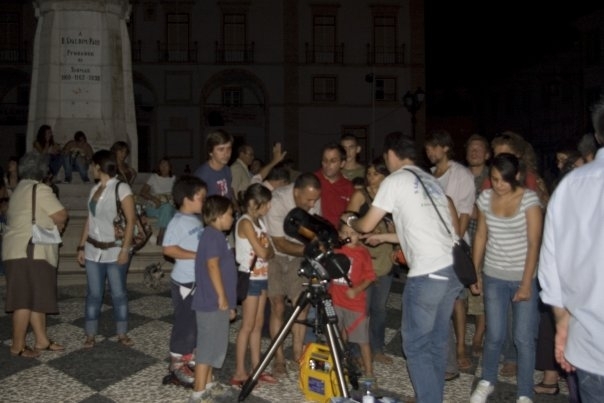 We, at the Centro de Astrofísica da Universidade do Porto (Center for Astrophysics U. Porto), have been an active part of the program since the very first year and thanks to it, thousands of people all over Portugal have looked through our telescopes. This year, for the very first time since I started doing astronomy outreach, I got the chance to take “Astronomy in the Summer” to my home town of Tomar. I was even able to involve the town hall and they were very cooperative, shutting down public lighting in the central square. What I wasn’t expecting was the amount of people lining up, eagerly waiting a chance to peek through the eyepiece. In just two hours, between two and three hundred people got to see, most of them for the very first time, (at least) Jupiter and its moons. The best thing was, I got to do it again in two other nights, with the same turnout! This is just the local example of the international phenomena we’ve been registering during the IYA2009. It started on January 1st 2009 with the “pathfinder” global activity “Dawn of IYA2009”, and continued with the hugely successful cornerstone project “100 Hours of Astronomy”. Just this last event gathered around our telescopes between one and two million people! And now, we’re in the eve of another such great event – Galilean Nights. 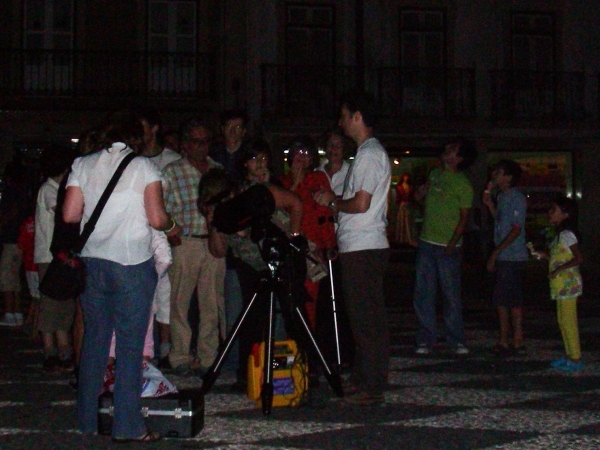 Between 22 and 24 October 2009, we invite everyone willing to share their passion for astronomy with their friends, neighbors, or even complete strangers, to host an event. Show the world what Galileo saw 400 years ago, and watch the awe in people’s faces after looking at another planet, with their own eyes, for the very first time.